The requirements of your project determine the thickness and strength of the thread that you will use. Delicate projects will mostly fit in with thin threads. Detailed pieces work best with thin strands, while thicker ones give your stitches some heft. A thick thread also covers quickly and is good when you want to finish a project fast. When still learning the loops, using large-eyed needles with a thin thread eases the process. Thread size differs depending on their fiber, and sizing from one type to the other is different. For example, if you settle for linen thread for your crafts, the larger the number, the smaller the thread. Threads bearing the same size number may not be equal. When choosing your thread, you want one that is strong enough to hold long after you have finished embroidering. There are way too many types of threads, and a common mistake among beginners is using sewing threads instead of embroidery threads. Picking the appropriate thread enhances durability while creating the desired effect without much struggle. Contrary to popular belief, thickness does not translate to strength. Avoid using old threads as they weaken with time, making them fray and break easily. Invest in high-quality rolls for your project to harness your art and have it last longer. 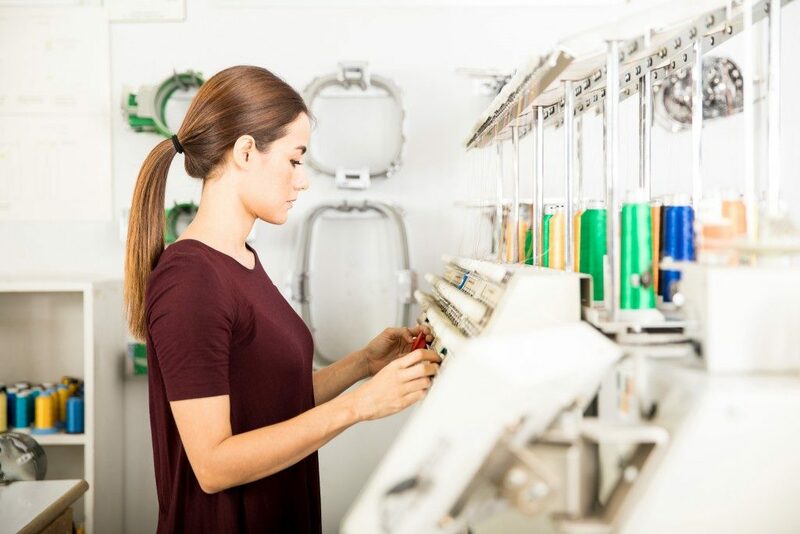 Evaluate the level of adherence you need for the thread so that you can pick the right one from the strength options available on the market. When deciding on appropriate colors for your embroidery project, consider the color of the fabric you are working on. You also have to think of what embroidery thread colors complement each other. The colors you use should blend in seamlessly so that your work is aesthetically appealing. To add depth and complexity, have a color scheme and pick different hues from the same color family. You can also try variegated thread for unique embroidery projects. A wide range of colors gives you room to experiment until you settle on what works best. The sheen of the thread affects your work’s wow factor. It also adds to the texture and color dimension. The metallic sheen of gold, silver, and copper is appropriate for embellishment on bags. It adds intricate details to your crafts. It also works well with lace embroidery designs. Ultimately, before you pick your thread, you ought to have a vision of how your work will appear. Sketch it if you must. When you figure this out, it becomes easy to identify the colors, strength, and texture of the thread you need.